O’Brien Helicopters and Aerial America shooting aerial footage using the CineFlex camera over Key West, Florida. Catch the footage from today and much more on the upcoming Smithsonian Channel. Contact us today for more information on aerial footage and all your Helicopter Service needs. O’Brien Helicopters and Aerial America shooting aerial footage of Miami Florida. Catch the footage from today and much more on the upcoming Smithsonian Channel. O’Brien Helicopters flying over the Orange Groves with Aerial America on board just after sunrise. Check for upcoming footage on the Smithsonian Channel. Contact us to today for all your helicopter service needs. O’Brien Helicopters and Aerial America shooting aerial footage of Key West Florida. Catch the footage from today and much more on the upcoming Smithsonian Channel. O’Brien Helicopters and Aerial America wrap up a day of shooting aerial footage of the Kennedy Space Center located in Cape Canaveral Florida. Catch the footage from today and much more on the upcoming Smithsonian Channel. Contact us today for more information on aerial footage. 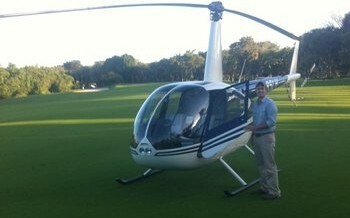 Last week, O’Brien Helicopters did a golf ball drop from the helicopter for the Sanctuary Golf Club on Sanibel Island. If you’re in need of helicopter services for a helicopter golf ball drop, please contact us today! O’Brien Helicopters will be working with Aerial America providing helicopter services all this week, capturing stunning aerial videography/photography shots with the CineFlex camera all over Florida. Popular locations include Tampa, Sarsota, Fort Myers, Naples, Key West, Miami, West Palm Beach, Orlando, Kenndy Space Center and the Penscola. Smithsoninan channel will air the footage in the upcoming months. Last week, O’Brien Helicopters chartered our Agusta 109 up to the Ritz Carton Orlando. We provided Helicopter Charter to and from Daytona race track for the Drivers and Sponsors. Contact us today to book your flight. Experience a breathtaking Helicopter Charter over Sarasota Florida. A scenic helicopter ride makes enjoying Sarasota sights and scenes an experience of a lifetime. Contact us today for all your Sarasota Helicopter Services. Experience a breathtaking Helicopter Charter over Naples Florida. A scenic helicopter ride makes enjoying Naples sights and scenes an experience of a lifetime. Contact us today for all your Naples Helicopter Services.